Astronomers have found a system of seven Earth-sized planets just 40 light-years away. 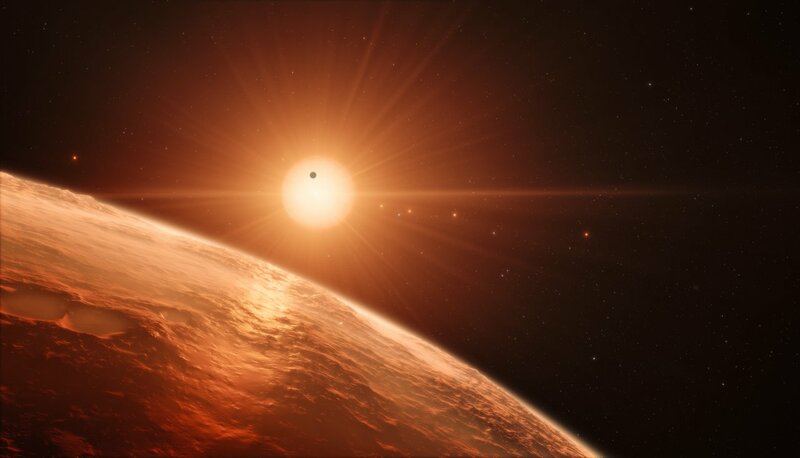 Using ground and space telescopes, including ESO’s Very Large Telescope, the planets were all detected as they passed in front of their parent star, the ultracool dwarf star known as TRAPPIST-1. According to the paper appearing today in the journal Nature, three of the planets lie in the habitable zone and could harbor oceans of water on their surfaces, increasing the possibility that the star system could play host to life. This system has both the largest number of Earth-sized planets yet found and the largest number of worlds that could support liquid water on their surfaces.